Traditional perry is not the same as pear cider, which is often apple cider that has pear flavoring added to it, and may be what comes to mind for most people when they hear about perry. A true perry is made from pears alone and has a light, refreshing sweetness. Perry pears are smaller than culinary or dessert pears. As with apple cider, the fruit is picked, crushed and pressed to extract juice, which is then fermented. However, unlike apples, all pears contain a sugar alcohol called sorbitol that yeasts cannot metabolize. A completely fermented perry, therefore, has a residual sweetness missing from a dry apple cider. It’s Monday, which means Peaks and Pints presents a flight of hard cider. 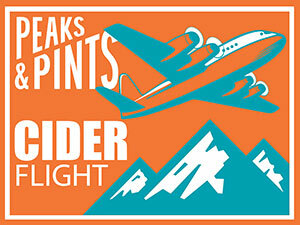 Today, we’re offering a flight of perry that we call Peaks and Pints Monday Cider Flight 4.1.19: Perry. During the 1980s, Eric Bordelet was considered one of the most influential figures in the Parisian wine scene, as he spent several years at the helm of the wine program at the illustrious Michelin Three Star restaurant of l’Arpège in Paris. However, his native Normandy called him, and he handed over his sommelier duties at l’Arpège and returned to the windswept orchards of Normandy in 1992, desiring to bring his superb palate to bear on the high-powered ciders of the region. Bordelet’s Poiré Authentique is true perry cider with just a hint of residual sugar. It’s classy cider with the texture and taste of ripe pears. This pear cider has very expressive aromatics, gentle mousse, ultra fine bubbles, beautiful balance, refreshing acidity and traditional off-dry palate with a hint of sweetness. Bad Granny Hard Cider has released their Nice Pear in stovepipe cans, which means 19.2 ounces of Washington state fermented pear juice, cane sugar and pear concentrate. In the fall of 2012, Jeff and Lynda Parrish opened Portland Cider in a cramped 1,500 square foot space in Oregon City. 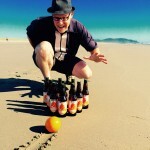 In 2015, they opened Portland Cider House in Portland’s Hawthorne neighborhood, offering 24 taps pouring a full range of Portland Cider’s apple and fruit ciders alongside a range of guest ciders. They continued to grow rapidly. In April 2016, they moved production to a significantly larger space in a Clackamas light-industrial business park. Their Pearfect Perry is made from nothing but a blend of Bartlett and D’Anjou pear juice. This lovely balanced perry arrives semi-sweet, almost cider-like. “Passing on the chance to create a cider with pears from our backyard, which are the best pears in the world, was not an option. 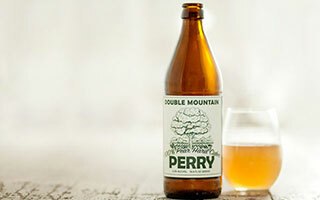 With this in mind, we created a slightly sweet, yet satisfying perry that is most assuredly not your grandma’s pear cider,” said Daniel O’Brien, a brewer at Double Mountain Brewery. Double Mountain pressed Starkrimson and Comice pears together for their Perry giving it an aroma of honey, juicy pear, and green apple that ends in a delicately sweet, gracefully tart and crisp pear cider. Snowdrift Cider’s first perry release is crafted from old-world perry pear varieties grown in central Washington. It hits the nose with pear, white wine, light funk, and hints of acetone. The experience is rich, full-bodied and juicy with ripe pear flavors, honey smoothness balanced with crisp astringency and a touch of appealing subtle woody tones from the pear tannins.